Tis the season for fur coats! Although one could argue that fur coats are meant more for the winter and holiday season, I personally start wearing them as soon as the weather gets cooler. Last year I also found that waiting too late into the winter season made finding the person coat more difficult since many of them were already sold out. There are currently A TON of options out and a lot of affordable options at that. I should first note that when I say “fur coat” I really mean faux fur! As the owner or a rabbit which is an animal that many companies still make clothing items from, I am completely again real fur. With that out of the way, I have decided to share with you all some of the amazing coat options I have found. All for under $100! Since there are so many types, I have divided my findings into three general categories: colored/pattern fur, longline fur and short fur. 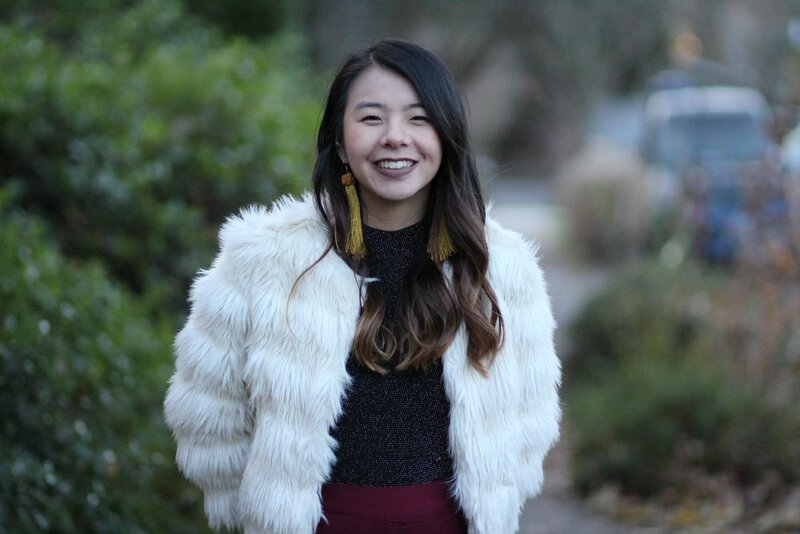 I already have quite a few fur coats as you can see in the photos above but they are just so perfect for someone who is always cold but still wants to look cute A.K.A. me! This year is definitely the year of the colored/patterned fur so you’ll probably see me with a new addition sometime leading up to the holiday season!